Of all the supporting characters in Spider-Man stories, Morbius, The Living Vampire is certainly one of them. He’s not as iconic or memorable as Venom, he’s not a core cast member like Mary Jane or even J. Jonah Jameson, and he’s not even a regular guest star like Silver Sable or Black Cat. Those characters are already getting their own movies or have already appeared in Spider-Man movies, though, so now Sony has apparently figured that it might as well give Morbius a movie as well. According to The Hollywood Reporter, Sony has enlisted Power Rangers writers Burk Sharpless and Matt Sazama to develop a script, though any details beyond that are still unknown. In the comics, Dr. Michael Morbius was a man suffering from a blood disease, and when he tried to invent a cure it actually gave him a vampire-like thirst for blood, sharp fangs, and super strength. Of course, real vampires are undead and Morbius was just a guy who liked blood, so that’s where the “Living Vampire” branding came from. Morbius was initially a villain, because he’s a Living Vampire, but he eventually became more of an antihero-type. He was created by Roy Thomas and Gil Kane, and as THR notes, his first appearance was in Spider-Man issue 101, the first issue not written by Stan Lee. 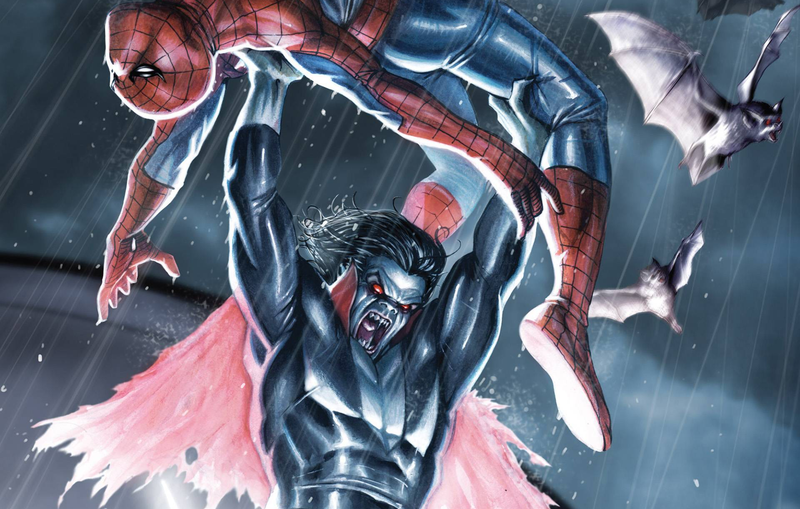 Morbius will be part of Sony’s Spider-Man-adjacent Cinematic Universe alongside Venom and Silver And Black, and like those movies, it’s still unclear if Spider-Man himself will actually have anything to do with it.